Police videotaping should be routine and available to the public, unless counterbalanced by sufficient concerns for protecting suspects’ privacy and for not blowing open an ongoing criminal investigation. 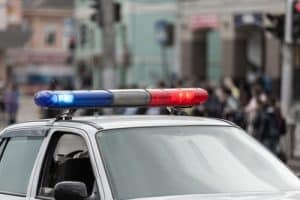 As a Fairfax criminal lawyer, I know that an incident picture and video can be worth a thousand words, compared with the usually much briefer police reports that often miss vital details and nuances beneficial to the criminal defense side. What is the Los Angeles police department hiding by refusing media access to police videotaping? The Los Angeles, California police department, according to CBS Los Angeles, consistently declines to release its incident videos to the press. Nonetheless, the news media obtained such video footage apparently from a suspect’s criminal defense lawyer, with the video purportedly contradicting a police claim that hit and run suspect Ronald Shields was found with cocaine in his front pocket, versus on the ground near his wallet. While I would want to see all the video footage and police report before forming my final judgment, the video excerpts here seem clearly to contradict the police claim that the cocaine was seized from the defendant’s front pants pocket. As to why a police officer would plant evidence in the face of police videotaping, the news story points out that the officer may have overlooked that he was not deleting the purported drug-planting part of the video when turning on his videocamera. As a Fairfax criminal lawyer, I know that police, being human, are not immune from falsifying and planting evidence. An important safeguard to reduce police prevarication is to have all police encounters videotaped and audiotaped, and to substantially shrink the police force in order to do a better job at hiring the best candidates, and at training, retaining, promoting and rewarding police who do a good job. One practical way to shrink the police force is to heavily reduce the supply of arrestees by legalizing marijuana, gambling and prostitution; heavily decriminalize all other drugs; eliminate per se guilty rules in DUI cases, and eliminate mandatory minimum sentencing. Jurors, judges and prosecutors need to know that police are not immune from telling falsehoods. Police should not be cloaked in any more credibility than any other witness who testifies in court. Fairfax, Virginia, criminal lawyer Jonathan L Katz successfully stands up to police and prosecutors seeking to convict his clients. To discuss your case with Jon, please call his staff at 703-383-1100 to schedule a confidential appointment.